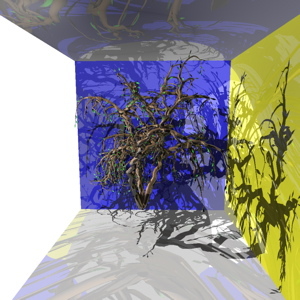 Tracing secondary rays, such as reflection, refraction and shadow rays, can often be the most costly step in a modern real-time ray tracer. In this paper, we examine this problem by using suitable ray coherence measures and present a thorough evaluation of different reordering heuristics for secondary rays. We also present a simple system design for more coherent scene traversal by caching secondary rays and using sorted packet-tracing. Although the results are only slightly incremental to current research, we believe this study is an interesting contribution for further research in the field.